OAKLAND, CALIF. – The Browns likely lost more than a football game on Sunday. A few hours after the dust settled on their 45-42, overtime defeat to the Oakland Raiders, Cleveland came to grips with the harsh reality that they may have lost starting cornerback Terrance Mitchell for the remainder of the season. After the game, head coach Hue Jackson confirmed what most had speculated: Mitchell suffered a broken forearm. He sustained the injury early on in the second quarter, Sunday, leaping to break up a pass in coverage on speedy Raiders’ wideout Jordy Nelson. The 26-year-old came down hard on his left arm and could be seen walking off the field holding it up with his other hand. Moments later, Mitchell was carted to the locker room and did not return to action. 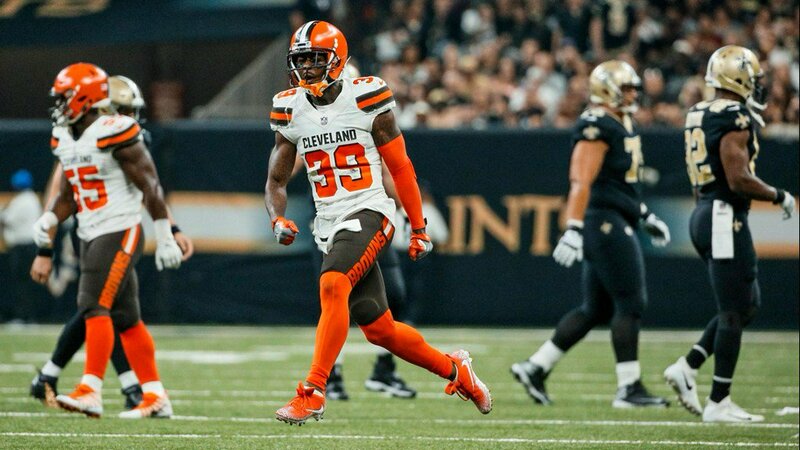 After signing a four-year deal with the Browns this past offseason, Mitchell quickly emerged as a key member of the Browns secondary through the first quarter of the season. In four games, the six-year veteran registered three pass breakups, one interception and two forced fumbles. Mitchell will be sorely missed by the Browns defense, as backup corners T.J. Carrie and E.J. Gaines will each see an increased workload moving forward. In limited action, Carrie has a sack and one pass deflection this season, both of which came in last week’s win over the Jets. Gaines, meanwhile, has his best outing in Oakland after missing the first two games of the season with a hamstring injury. The former Rams and Bills CB notched his first interception of the season in Sunday’s loss.